Thanks for your interest in the version of ATV Handles Grips Control. We offer products quality and honesty. It is our company culture, we sincerely treat our customer. 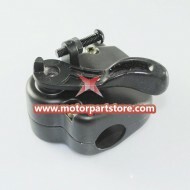 Our ATV Handles Grips Control is suitable for ATV. Please have a look.